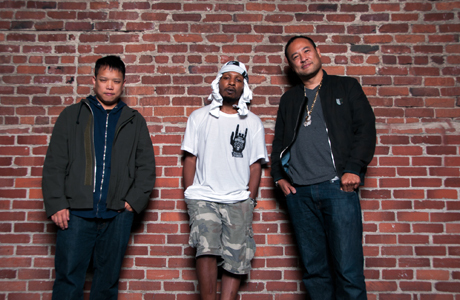 Featuring DJ and musician Kid Koala, producer Dan the Automator, and “the King of the Oddball Rappers” (Pitchfork) Del the Funky Homosapien, DELTRON 3030 is one of the great alternative hip-hop concept projects of all time, an Afrofuturist extravaganza with outer space themes in the tradition of Sun Ra and George Clinton. The original eponymous record from 2000 and last year’s follow up, Event II, recount the adventures of Del’s alter ego, Deltron Zero in the year 3030. For the live version, the supergroup is backed by an orchestra. The sprawling Montréal hip-hop collective NOMADIC MASSIVE prepares us for launch.